Drainage for pier and beam houses can be a costly oversight. The key to maintaining a historic pier and beam house is proper drainage. When water accumulates or flows under a pier and beam house, it may cause either heaving (uplifting) or sinking of the piers. Most historic houses around Dallas and Fort Worth Texas were constructed with Bodark tree posts buried two to three feet under the ground. More recent houses are constructed with concrete blocks or poured cement posts. The key to a safe home is preventing the moisture from accumulating around or under your home’s foundation. Watch out for pools of water in the crawl space of the pier and beam foundation. If left unattended, it can cause the beams to rot. Due to our moisture sensitive, expansive clay soils, water under a house is always a problem. During dry spells the soil shrinks, lowering the post. During wet periods the soil expands, raising the post. In extremely wet conditions, clay soil turns to mud and all load bearing capacity is gone. In the photo below repeated, wet and dry cycles have caused the concrete pier to move off center from the beam that it was intended to support. The pier is no longer supporting the beam. The homeowner may find that the floor above is springy or bouncy. Drainage for pier and beam houses can cause problems due to alternating wet and dry soil conditions, the concrete pier has moved and is no longer supporting the beam. Photo courtesy Granite Foundation Repair. Essentially, water needs to be steered away from your foundation. Are you having issues about water drainage around your home? 1. In essence, your yard should be built to slope away from the house. Do you live in Irving, Dallas, Fort Worth, Plano or Arlington? You need to use sump pumps, surface drains, and French drains to make the drainage right. There are certain times of the year when it will rain a lot. With a strong slope, you should be able to avert water drainage problems plaguing your foundation. 2. Talk to a professional to help you install gutters and downspouts around your home or commercial property. Draining water away from the foundation can help you avoid the costs that come with foundation issues. With that, you won’t need to carry out costly repairs. Never forget to resolve issues in the foundation due to poor drainage. 3. Consider installing a French drain in the foundation area. Sump pumps are good when used in crawl spaces. If you want to remove a lot of water fast, consider installing a surface drain. Why should you install drains around the foundation? When your foundation is properly drained, it prevents foundation damage that is common to houses in Dallas and Fort Worth. Granite Foundation Repair is an experienced drainage contractor. Why don’t you talk to us for an evaluation of the drainage situation in your foundation? If it turns out that your house or yard foundation requires drainage correction, you should have it installed. Most importantly, follow the tips provided here to prevent these issues. Give Granite Foundation Repair a call today! We have the ability to help you avoid drainage problems. 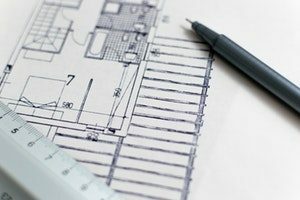 If you live in Dallas, Arlington, Fort Worth, Plano or Irving, you can get foundation drainage estimates free of charge. We provide services in the greater DFW area. Compared to slab concrete foundations, pier and beam foundations are easier to maintain and associated with numerous benefits. With concrete piers protruding out of the ground upon which the house rests, they give you sufficient crawl space simplifying inspection. 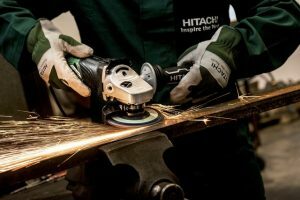 Do you want to save time and avoid unnecessary and expensive repairs? You need to ensure your foundation remains in good shape. If you want to keep your foundation in great condition and spend less on repairs, here are helpful tips for you. Contact Granite Foundation Repair for a Free Inspection! This is the most critical tip in pier and beam maintenance. For a foundation to remain strong, a good drainage system is needed. A foundation is exposed to damage when moisture seeps under the foundation. During the dry season, the ground becomes dry and when heavy rains begin, water accumulates under the house. Damp or wet piers cause moisture related issues such as rotting wood, mold and termites. Always ensure water doesn’t accumulate under the house, pass beneath the house or flow towards the foundation. A good drainage system with regular maintenance will ensure water is not trapped near your house. To ensure your foundation lasts for long, control moisture levels especially under and around the perimeter of your house. Interior support piers are extremely vulnerable to moisture as mud causes piers to sink. The same damage also happens to the exterior sections of piers. Previously, the concept was to ensure the soil remains dry but technology has introduced new techniques for determining the moisture content of air molecules. Properties in areas with high humidity have high moisture content which if allowed to enter beneath the structure, causes a buildup of moisture, making it more costly to maintain foundations. The latest technology is to ensure the underside of the structure is completely sealed off and de-humidifiers installed to get rid of excess moisture that finds its way into the crawlspace. You can do simple checks on your house to determine if something is not right with the foundation. If you notice your ceiling, shower tiling, and walls above doors have visible large cracks, all is not well. In addition, if your doors and windows fail to shut properly, there could be a large shift in your foundation. In such cases, immediate remedies need to be carried out to avoid further damage and complications. Unfortunately, by the time you realize these defects, you’re no longer dealing with minor issues implying professional intervention is needed. In most cases, water and poor drainage are to blame for these defects. Water is a major cause of foundation weakening and damage. Whether water gets into the crawlspace from cracks in your perimeter grade beam or through the air, support soils are weakened, eroded and damaged over time. Once soil becomes softer or mud forms, your piers begin to settle causing gradual damage in walls and eventually, the entire structural damage. Make an effort to inspect the crawl space after every six months and see whether there are any signs of movement. Fortunately, in a pier and beam structure, you can easily check because it is easy to see how the post meets the beam. You should be able to see whether there is angling of the piers or the pier has shifted position. Should this be the case, it is obvious movement has taken place and therefore, house structural damage is imminent. Don’t forget to always check your gutters and downspouts. Gutters should be prevented from splashing out water directly on the ground below bordering the foundation. Water discharge should be done at least 5 feet from the house. There are numerous benefits associated with post and beam construction, but you need to be keen with underground support as any tiny movement of a single pier can cause extensive damage inside the house. Don’t have gardens to close to the house and if they must be, drains must be fitted to ensure water is drained effectively. Peat, mulch or barks tend to hold more water than needed affecting the underground. Focus on planting shrubs with a short root system to increase water absorption. When soil absorbs too much water, it shrinks causing the foundation to settle thus increasing movement. Trees and plants with a large and extensive root system under the soil can damage the pier. It is risky to have trees or large bushes next to the foundation and so they should be removed. Small shrubs can be used as a drain. Trench drains are useful especially in areas which are prone to heavy flooding or any other unexpected soil moisture complications. Doing this helps to prevent the soil underneath from becoming wet thus reducing movement. If you need of professional pier and beam foundation repair services, contact Granite Foundation Repair. We also provide you with the best drain system and moisture maintenance system tailored according to your specific needs. We have extensive business experience spanning several years, and we’re delighted to be of assistance to you. Call 214-865-8609 to receive timely and professional assistance! Pier failure in pier and beam house foundations can cause extensive problems. 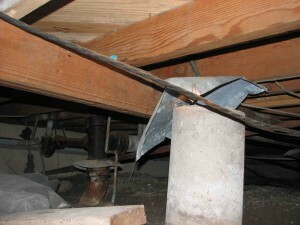 One of the most common types of pier failure in a Pier and Beam house is when the pier is no longer under the beam. When a pier and beam home has a foundation problem, the solution can also include attention to the drainage of the home. Foundation repair may still be needed, but to help prevent foundation problems in the future, a drainage solution may also be needed. 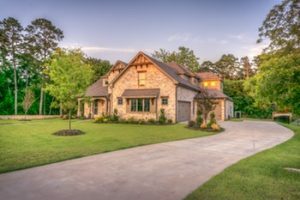 In this article, we’ll talk about some of the common reasons why pier and beam foundations in Dallas fail and what actions you should take. Homeowners commonly opt for the standard pier and beam. That’s because of its ability to ward off the weather while still allowing workers, such as contractors, to access it. The convenience of working on your home’s underside cannot be understated, however, it also leaves the door open for moisture to get down there as well. Did you know that trapped moisture can be an unwelcome menace? If anything, the native soil in Dallas has characteristics that only help compound this problem. 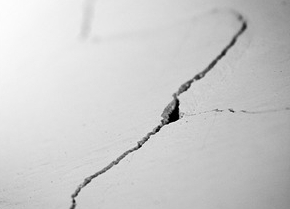 Have you noticed cracks in your pier and beam foundation? You are definitely not the only one with that problem. The native soil in Texas is to blame. To put this into context, this is an all-American problem. Over half of the homes nationwide sitting on moisture-rich soil. In the end, most of these homes end up with foundation-related problems. It is, therefore, important to know when and how your pier and beam foundation is likely to be affected. 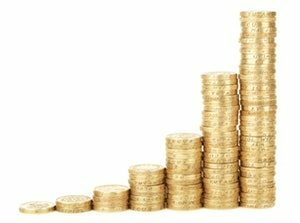 Homes with foundation issues tend to depreciate between 20 percent and 25 percent in value. The picture here shows a robust tubular concrete pier that is no longer supporting a beam. How can that happen? The foundation construction had piers placed every 6 to 8 feet under the beam. What caused the pier to fail and in fact to move? Water has caused the pier to move out from under the beam. Atop the pier is a metal termite shield, which is now lodged between the side of a beam and a concrete pier. The white specs atop the soil are salts. These accumulate as the soils go through wet and dry cycles. The problem that we see is common to pier and beam houses built on expansive clay soils. When water accumulates or passes under a house, the soil expands and causes the pier to heave. During the drying cycle the pier drops. The up and down movement is not without some lateral movement. The problem in the picture above probably took a decade to occur. The pier is not supporting the beam. Stop moisture intrusion – the soil under a pier and beam house should have zero moisture content. In the example shown here, a new pad and block system will need to be installed to support the beam. At Granite Foundation Repair, over half of the pier and beam problems that we repair could be fixed by stopping moisture accumulation under a house. Corrective measures may include exterior drainage correction as well as the addition of large vents under the house. Always try to work with a reputable foundation professional when constructing or upgrading a home. After all, most of the foundation problems come as a result of poor design. It doesn’t really matter the locality in which your home is situated. This is not a DIY affair. You don’t want to risk using an inferior jack or spacing piers wider than 6 feet apart. The design has to take into account the possibility of too much pressure being exerted on the wrong part of the foundation. The poor design also means placing the beams further apart than should be. When you have very few piers supporting their weight, then you have a problem. 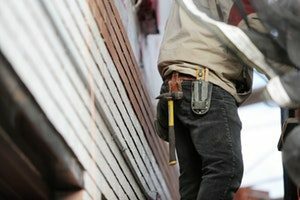 Some of the people who call themselves repair experts may leave the foundation of your home worse than when they found it. They might use wooden or cardboard shims to reinforce weakened piers. The other issue is relying on the soil itself to support the weight of the house. The soil in Texas might be to blame, but floods can exacerbate the problem. It could be as a result of hurricanes, storms, flash floods, and tornadoes which can bring in unwanted moisture. Don’t just worry about water when it gets into your home, think about its damage to the foundation. When wooded beams are exposed to water, they tend to expand. This can tip your foundation over. Most parts of Texas have a high level of water in the soil. The soil has lots of holes which help raise the water level. The water in Dallas might not get above the ground level, but it is still dangerous to your home. You need to be in a position to know if the worst is about to happen. But don’t worry. It will take quite a while for a sagging foundation to cave in. noticing early warning signs should help you do early repairs, cheaply. Watch out for a sticking door, soft spots in the floor, unbalanced staircases, and cracked walls. Read this article to understand the signs of foundation problems. If you’re experiencing some signs of foundation problems don’t hesitate to reach out to us at Granite Foundation Repair. We have an experienced team of professionals to help you fix all your beam and pier foundation issues. Why does my pier and beam foundation keep moving? Pier and Beam Foundation is one of the most commonly used foundations for homes. Although there are other options available including post-tensioned slab on grade or plain slab on grade, in most cases, the ideal choice is a pier and beam structural foundation. Issues with movement are generally not a problem with pier and beam foundations, but they can occur if there are issues related to water damage, excessive moisture or construction failures. 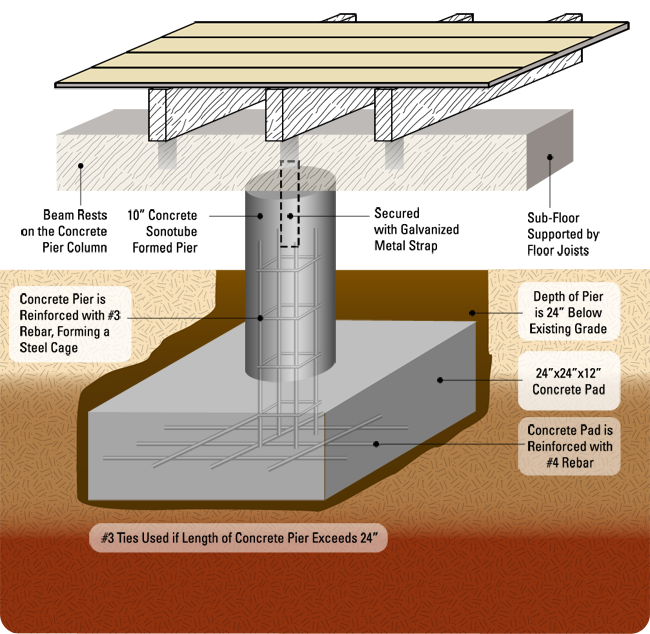 A pier and beam foundation consists of piers that are embedded into the ground at an average space of 5 to 6′ with a perimeter concrete wall which acts as the beam. The beam, which encloses the crawl space created by the pedestals, supports the wood beams that make up the floor and wall framing. Generally speaking, the weight of an average house is spread over two to three dozen piers. Problems with pier and beam foundation generally occur due to decaying piers. This happens when there is less wood mass. When the wood decays, that area becomes soft thus creating a void between the wood and the soil. When this happens, the pier and the wood framing settles. Another major reason why a pier and beam foundation moves is due to water. When there is moisture, the wood pedestals decay and the soil that supports the wood swells up as the level of water increases. When this happens, the soil swells up too, and the foundation begins to move. Weather can also play a role in shifting the soil beneath a foundation. Too much rain or too much drought can both have a negative impact. As we experience global warming, there are changes in the climate that we have to deal with. According to the National Oceanic and Atmospheric Association, we now face extended dry periods which are then followed by excessive rain. These random weather conditions and the constant switch from hot and dry weather to rainy and/or cold weather can have a significant impact on the foundation of buildings and homes. Structures can shrink or swell; they can pull away or simply collapse. All these can cause movement. Construction-related issues such as building the structure on unstable ground or making some major errors and failing to build a proper foundation are also reasons that pier movement could occur. There are a few strategies that can be used to prevent movement and leveling issues. Using deep piers so that the soil stays in position and there is not enough stress to initiate movement. Spreading the load more to reduce the stress on the loaded soils. The more the piers under the house, the lower the stress. Using the right type of soil as wet clay soils tend to move much more compared to sandy clay. It is important to keep an eye out for any signs that would indicate that the soil beneath the foundation is slowly damaging away. If these signs are not monitored, there is a risk that the foundation would crack and sink and the structure of the home would become unstable. People tend to spend a lot of money on stabilizing the foundation, but if it’s not done right, they will need to install more piers so that further cracking and/or crumbling could be prevented. Other signs to look out for include creaking sounds, cracks in walls, breaking tiles, popping grout, difficulty in closing doors or windows and bowing basement walls among others. It is estimated that homeowners spend nearly $4 billion annually to stabilize or improve their home foundations. If you are one of those homeowners, you need to ensure you take action fast. 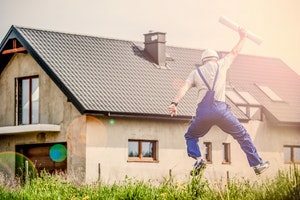 This means that you recognize the tell-tale signs and then you hire a foundation repair company that has a team with the necessary skills and experience to fix the problem. 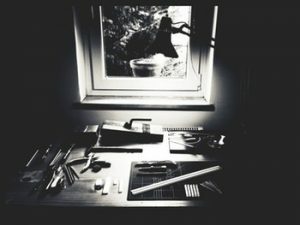 You don’t want to end up with sub-standard repairs because you will eventually end up spending even more on additional repairs and the cycle will continue till you find people who know what they’re doing and who can offer you a long-term solution. The two most common reasons for pier and beam foundation movement continue to be moisture and structural dis-balance. It is important to maintain a constant level of moisture, and it is also equally important to ensure that the foundation is done properly in the first place. All these factors can help prevent movement problems in the future. Pier and beam foundation is considered to be one of the best choices when it comes to home foundation. However, no structure is completely perfect, and problems can and do occur. Decay or damage to wooden beams or wooden joists due to excessive moisture or termites. The most practical solution for this particular problem is to replace the damaged wood and re-shim. 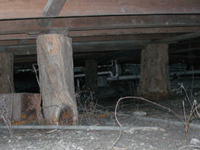 Water-induced movement of interior piers since interior beams are supported through wooden posts that are sunk into the ground or atop a concrete pad. This problem is preventable by simply making sure that the water does not get into the foundation. When the moisture is stable, one can re-shim. 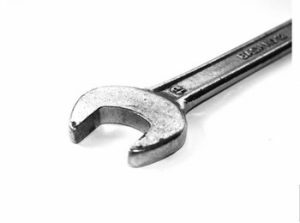 Shim failure is also quite common in houses that have been shimmed with non-standard materials including plywood, sheet-rock, softwood or even cardboard. The ideal solution for this problem is to replace the inferior material with steel. Inferior construction could prove to be a big problem in the long-run as the structure would not have adequate load supporting ability and could even become damaged if another story is added. This can be solved by adding steel reinforcing beams and shim. Sagging floors is another problem that commonly occurs either because of water-induced damage. This can be solved by installing shims, piers and foundation supports. Collapsing concrete piers which can make the foundation uneven and also cause cracks. It is important to stabilize the concrete piers if this situation occurs. Cracks in exterior piers which tend to occur when door frames get out of the kilter. This, in turn, occurs because the piers have given way and the beams are moving. 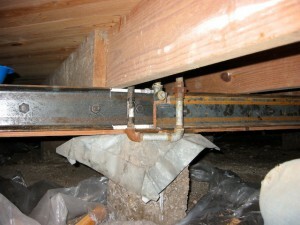 This problem can be resolved by installing shims and putting in new beams. In addition, exterior piers can be replaced. 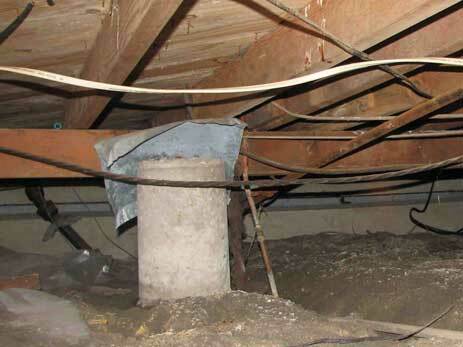 Poor drainage system which could result in excess moisture and a damp crawlspace. This in turn negatively affects the structure of the pier and beams thus resulting in foundation damage. Mold and mildew which can often ruin beams and joints. Any of the problems highlighted above should never be ignored as this could result in further damage and more complications to the base structure. Not only that, any delay in dealing with these problems can make your home unstable and unsafe as foundation problems tend to get worse with time if action is not taken quickly. Even if you are unsure of what the signs indicate, it is imperative that you get your home inspected so that any damage can be repaired immediately and the foundation of your home can be stabilized. Since water damage is a major factor that could potentially cause pier and beam foundation problems, it is important to ensure protection from water damage. Regularly cleaning out the gutters as this can prevent clogging by leaves, branches, rainwater and any other debris. Extending downspouts at least five feet away from the home as this will ensure that any rainwater is directed away from home thus preventing the accumulation of water. Installing a French drainage system as this is very effective in keeping water away from home. Other solutions to pier and beam foundation problems replacing the affected wooden members. This is a complicated task and will require the services of a professional foundation repair company as they have the necessary skill and expertise to do it right. Whatever you do, it is recommended that you do not neglect these signs and you contact the right professionals so that they can identify the core issues and go about finding the solutions as well as the foundation repair costs. The biggest advantage of pier and beam foundation is that any issues can be resolved fairly easily granted they are identified at an early stage. But you do need to ensure that you get the right experts to evaluate the problem and you ensure that the people doing the repairs have the experience and the knowledge to do the job right. Time is of the essence when it comes to foundation repair. 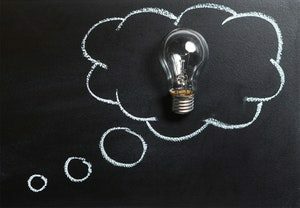 As long as you don’t neglect or miss the signs and as long as you get the right people to repair the damage that has occurred, you should be able to resolve these issues without any major complications.